THANK YOU Room207 for adding UREAL Tournament engine file support to Blender Portable :D Thanks to that I can now port TERA online stuff to y hearts content. Starting with this neat, icy weapon set, which is only called "set 32" in my file, so I called it Ascension, shut up XD For more info, read the ReadMe! A set of 12 lances and matching shields from the game TERA Online. A pair of scripted dual weild light blades, which can be found on TES Nexus. 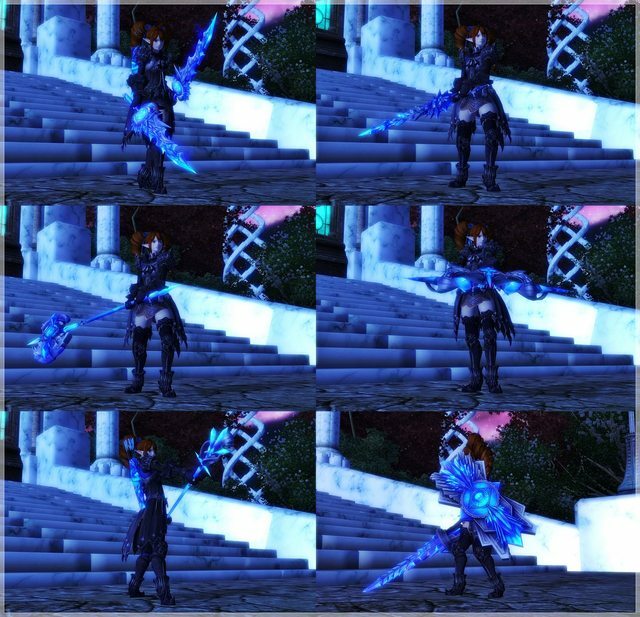 A heavily edited version of the AION Heranas Staff with lots of moving, animated thingamabobs.